Credit rating agency S&P has slashed Eon’s credit rating from A- to BBB+ ahead of the utility’s radical overhaul of its business structure. The German energy giant plans to spin off its beleaguered up- and mid-stream power and gas interests into a new company in a bid to protect its core retail and innovation business arms. But S&P say that its credit metrics could still take a hit. “We believe that Eon’s business risk profile will strengthen after the spin-off, although we think it likely that Eon’s credit metrics will weaken from current levels,” S&P said in a statement on Wednesday evening. The credit downgrade will affect the German parent company as well as the Eon UK arm, Eon Energy Solutions, and Eon Sverige. Investment analysts at RBC Capital said they “do not think the market will be surprised by the downgrade”, adding that Eon itself has already indicated that it was willing to accommodate a ratings downgrade under the new structure. In addition, the credit rating agency said that it expects the firm’s business risk profile to increase following the spin-off. “We continue to assess Eon’s business risk profile as ‘strong’ although at the higher end of the category after the spin-off of its up- and mid-stream power and gas operations to a new company, Uniper,” S&P said. “This assessment mainly reflects our view that the group’s business mix will be much less exposed to merchant risk than before the spin-off,” the agency added. 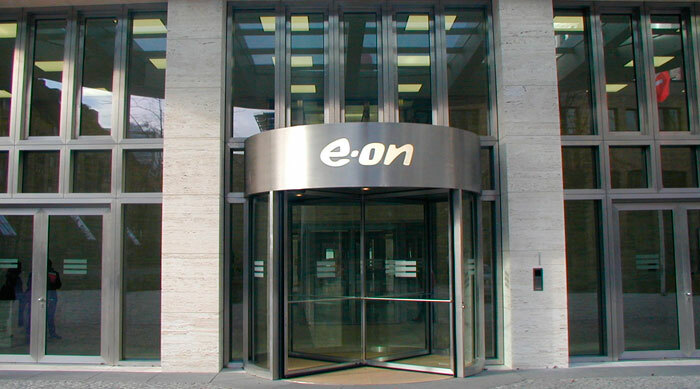 Eon’s share price opened fractionally lower than Wednesday’s close at €13.68, less than 1 per cent weaker.